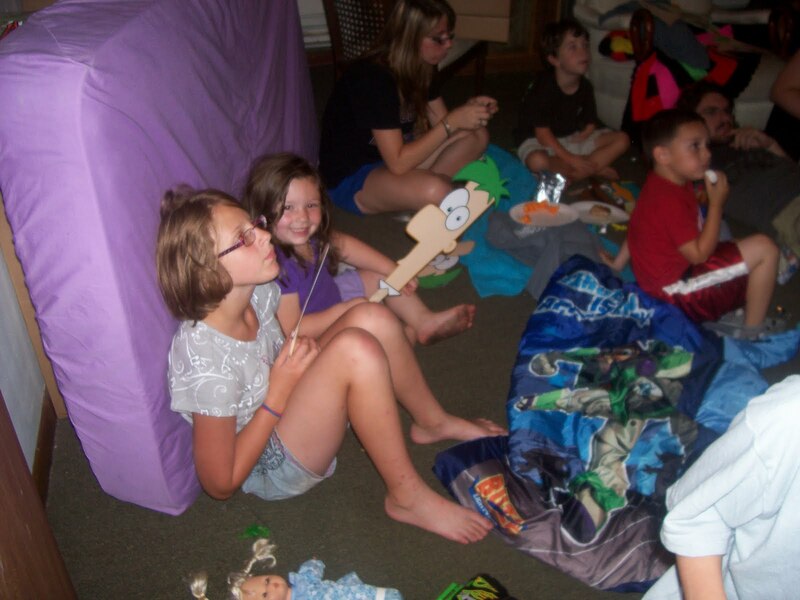 momscrazyday: Phineas and Ferb Movie Party part 2! 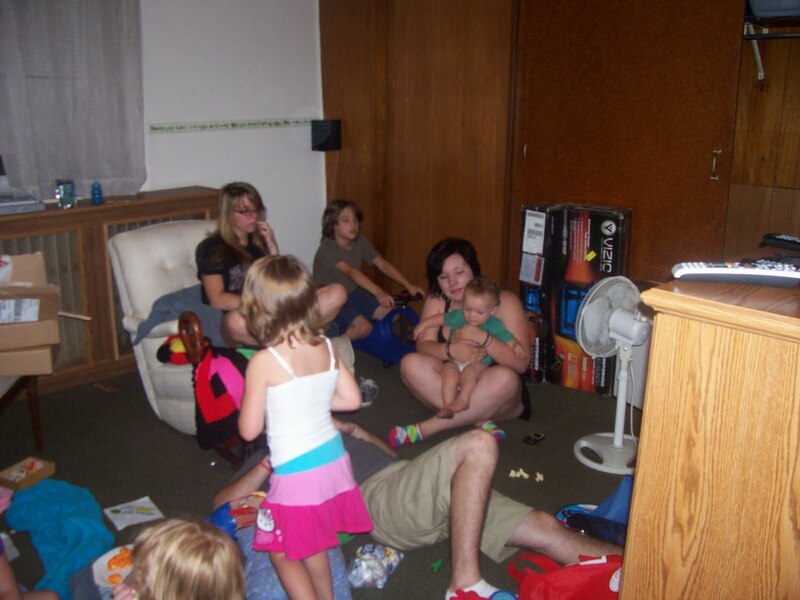 I wanted to add a few more pictures here, and also mention that in the pictures, you may not see all the kids a one time. I believe I may have made a mistake by having this party downstairs in our rec room, with a Skeeball machine, and ball pit, and other fun kid play things! We did tivo this movie upstairs, and the boys did watch the entire movie, the next morning. Again, I was shocked to see the little girls so dainty, and giggly, and sweet, the entire time during the party! 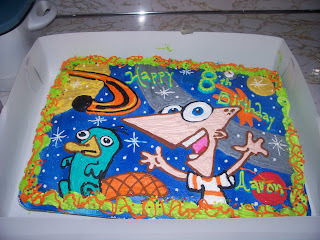 I also wanted to point out the amazing job that was done on the birthday cake! I like to order my cakes from Boyers food Store in Lykens, PA. They are local, and offer great deals! But the bakery is always a huge success! Especially with the decorating part! I called them the day before, (short notice due to my 1 yr old going in for a ct scan the next morning), and they were very happy to help with this cake! This is a nice picture of the "big kids' enjoying the Phineas and Ferb movie!! 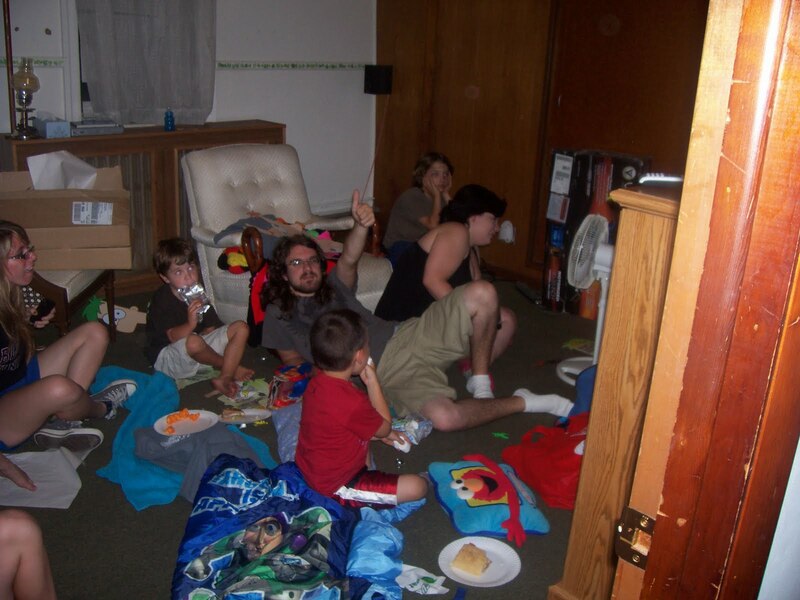 Phineas and Ferb's "chic fans"
Everybody getting settled in the tv room, or trying too! Looks like a great party and I love the cake! New GFC follower stopping by from VB. Please stop by http://aboutamom.com when you get a chance! Thank you!! It was a lot of fun, the kids were real happy!! Planning is the TINY secret to organizing the PERFECT birthday party for your stag party Here are a number of key points that you should cover when planning your party from a professional birthday party host from Singapore.